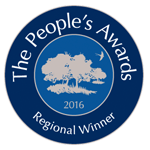 This year we were thrilled to have been awarded Best Natural Burial Ground in the North of the UK in The Natural Death Centre Charity People’s Awards. 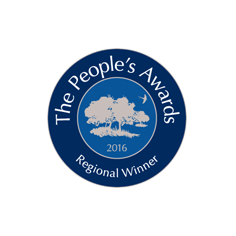 This award is particularly poignant for us because the People’s Awards are all about the people involved, the service they provide, the personal touches and the impact that they’ve made on the families of those who they have helped to bury. 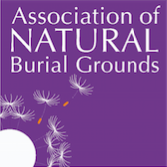 As members of the Association of Natural Burial Grounds (ANBG), we are bound by their Code of Conduct which requires us to provide the families arranging funerals with us with an opportunity to complete a NDC Feedback Form on the service we provide which is sent directly to the Natural Death Centre headquarters. The results of these feedback forms are analysed by the trustees and staff of the NDC who then identify the People’s Awards winners from the feedback they’ve received. We care deeply about providing the highest level of service, care and respect to the families we work with and we’re completely touched to have been recognised for it.